A telecommunications company needed to quickly identify and remove soil contamination in the utility pole storage area located on their site to support pending operational changes. Typically the characterization of this type of site would involve the preparation of a site investigation plan with review and approval by the regulating agency, followed by several iterations of soil sampling and comparison of results to the clean-up standard, resulting in a long and expensive process. 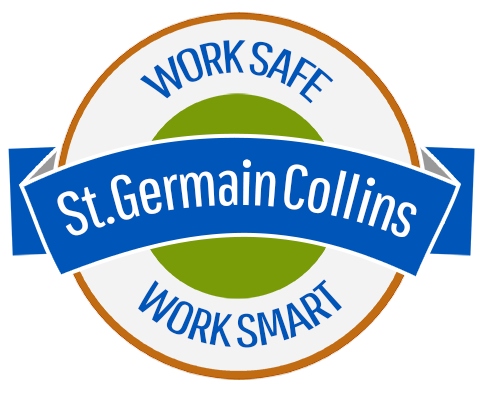 Instead—based on successful experience closing multiple pole storage yards throughout New England—St.Germain Collins was able to characterize the site without sampling, developed a targeted remediation plan, and verified efficacy of the corrective action with enhanced confirmatory sampling. Approximately 3,000 tons of soil contaminated by utility pole preservatives was excavated. The contaminants of concern (COC) were dioxin, copper, chromium, arsenic, and polycyclic aromatic hydrocarbons. Confirmatory samples were collected from the excavation bottom and sidewalls using the Interstate Technical Regulatory Council’s Incremental Sampling Methodology (ISM). Following remediation, all resulting COC concentrations were consistent with background or below regulatory thresholds. In just four months following submission of the Remedial Action Plan, St.Germain Collins completed oversight and project planning, excavation of soil contaminated by utility pole preservatives, collection of confirmatory samples and received approval from the Maine Department of Environmental Protection (Maine DEP) to terminate soil removal. After completing the remedial action report, closure of the site was approved by Maine DEP with no further action required. In their letter, Maine DEP praised our client and St.Germain Collins for the professional manner and communication during the whole process.